Students were assigned one square of the pavement each to showcase their skills. Can you believe Van Gogh's self-portrait was recreated using just chalk? Thanks to everyone in the #SCAD and #Savannah community who came out to the Sidewalk Arts Festival this weekend! 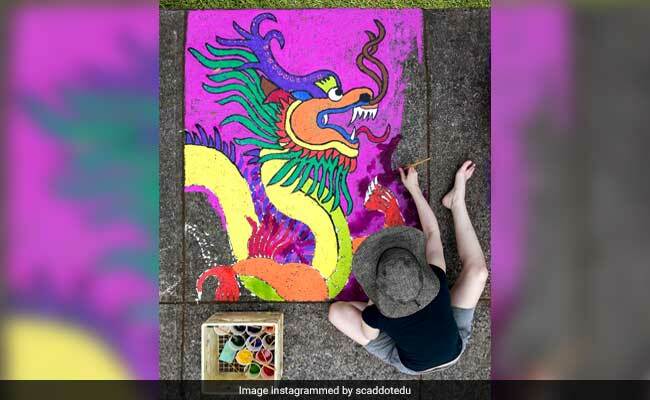 Check out the #SCADchalk winners on SCAD's Facebook page. What do you think of these compositions? Do let us know using the comments section below.